Discover all ARender news, events, product updates and more. Technology is rapidly changing processes requiring a lot of paperwork. In almost all cases, the evolution aims to replace papers with their electronic equivalents which are moreover more effective. Go paperless begins by replacing your paper documents. Which solution to replace your paper documents and how to work with a document viewer? A paperless office, also known as a paperless business, is a work environment that uses a minimum of physical paper and instead uses digital documents and processes. The employee has eliminated or greatly reduced the use of paper at his workplace. The process of turning to paperless should not be limited to scanning. It also involves the digital transformation of business processes, through the use of forms - workflows - specialized home or SaaS applications. At the end of the chain, the use of the Viewer makes it possible to visualize and work on documents and different digital formats. 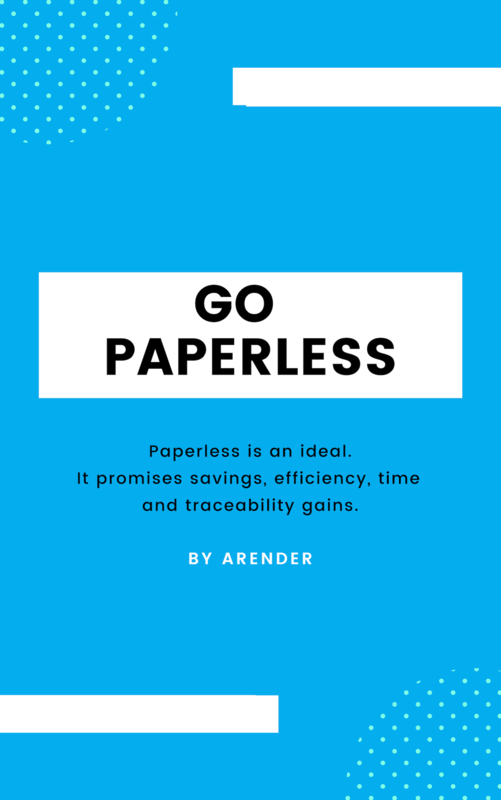 Go paperless is no more a dream. © 2019 ARender. All Rights Reserved.